EventCity is the largest exhibition space in the north of England and is located opposite the Trafford Centre just 15 minutes from Manchester city centre. Reaching EventCity is straightforward, whichever mode of transport you choose. The Autism Show takes place in hall 1 which is the first hall on your left when you enter the venue from the car park. If you are travelling by car, EventCity is conveniently located close to junctions 9 and 10 on the M60, making it very accessible to car users. EventCity has over 3,000 free car-parking spaces on-site and there is additional free parking at the Trafford Centre. If you are planning to find EventCity using a sat nav, please enter the postcode M17 8AS to bring you to the correct visitor entrance (the address postcode is M41 7TB however this navigates to the trade entrance). If you are travelling by train, alight at the train stations below and continue your journey using the respective bus connections to the Trafford Centre, located opposite EventCity. 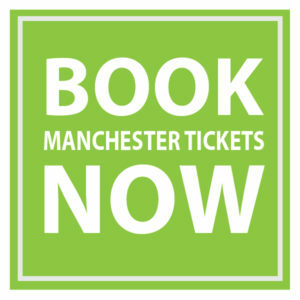 Manchester Piccadilly – Catch bus services X50 or 250 from Piccadilly Gardens Bus Station (about 5 minutes walk from the train station) direct to the Trafford Centre. Alight at the Barton Square stop, a 5 minute walk from EventCity. Manchester Victoria – Catch bus service 100, which runs every 12 minutes from the station entrance direct to the Trafford Centre Bus Station, a 10 minute walk from EventCity. If you are travelling by taxi, we recommend using Passenger Cars. Tel 0161 747 8000. www.passengercarsgroup.com. A Quiet Room is available for visitors. Please visit the Organiser’s Office within the hall to gain access. Click here to open a PDF of the floor plan.